Greetings from the fjords of Norway! Hello guys, my name is Jan and i am the newest noob on this fantastic forum. I've recently bought my first Suzuki. 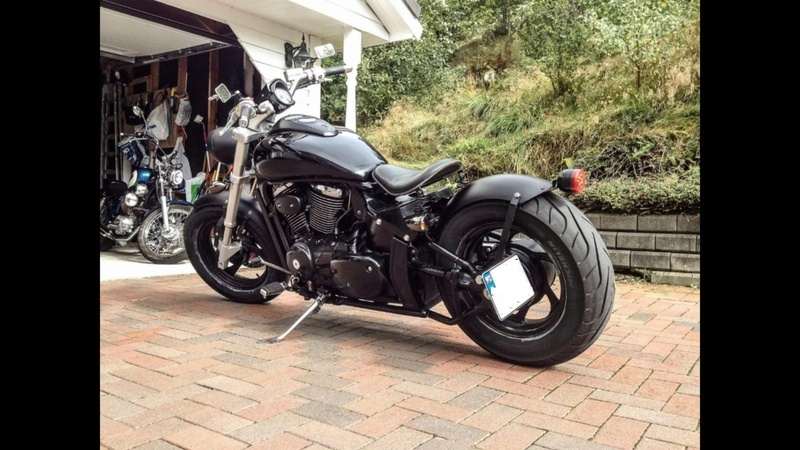 It's a 2008 VZ800 bobber and im really happy with my purchase. Im hoping this forum will give me great intel on the bike and that in the future i can help solve problems that may occure others. Looking forward to a lot of nice mc talks. Hi Jan - welcome to the forum. Wow nice bike mate got to ask what's it like to ride with a sprung seat as well as the mono shock? I hope you don't mind me saying I'd like to ride your girlfriend? She's a pretty girl! Please give me pointers for what more to do to make it more awesome! Subject: Re: Greetings from the fjords of Norway!